Is MMA your favorite sport? Sorry dude, but it's not included in the list of choices for Harris Interactive's survey. The polling firm, Harris Interactive, surveys Americans regularly to find out their favorite sports. Based on the current results, pro football is still America’s most popular sport, followed by baseball, college football, auto racing, basketball and hockey. However, you can’t see Mixed Martial Arts anywhere. The reason? MMA wasn’t even part of the poll. According to Harris Interactive’s Senior Project Researcher, Samantha Braverman, respondents were asked to choose which they follow from a list of 20 sports. After that, respondents were asked to select their favorite. The Harris Interactive listed a tad full of not-so-popular sports in America, but Mixed Martial Arts was not included in the choices. 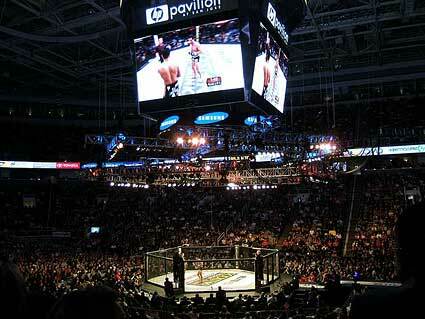 Therefore, no numbers were available as to how many people consider MMA as their favorite sport. With MMA’s growth in popularity in recent years, there were no concrete polling data that tells just how many Americans consider it as their favorite sport. There’s even no information on how many consider UFC as their favorite MMA league. That said, Mixed Martial Arts is still far off the radar screen. But while Harris Interactive asks about the same sports every time they conduct the survey, Braverman said that they will consider adding MMA to the poll in the future. Though Mixed Martial Arts wouldn’t be able to surpass football or baseball in surveys, the sport has grown enough to ask how many Americans consider it as their favorite.